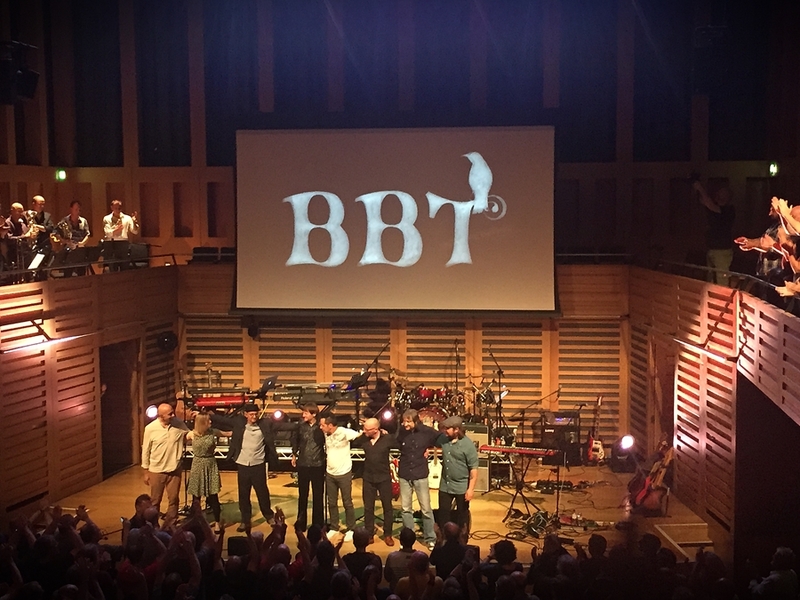 First of all i have a huge thanks to say to a certain Barbie Draper without whom i would not have been able to attend the Big Big Train gig performed in the delightful surroundings of Kings Place on Friday 14th August 2015. Her misfortune was my gain. Big Big Train tick a lot of boxes for me in so many ways and the news of them bringing their music to the stage in a live setting was the icing on the cake hence my huge disappointment at not being to obtain a ticket when they first went on sale. The very fact that all three concerts sold out completely is testament to how many like minded people there was and to just how well respected the band is. Kings Place is coincidently right next door to Kings Cross railway station which further infused the whole train theme to the proceedings. Intentional or or chance? The jury is out. Who ever scouted the venue made an excellent choice. Sonically the sound was as good as it gets and reminded me a lot of The Sage In Gateshead. Lots of polished wood and clean lines. Having taken our seats approximately five minutes before start time my eyes were drawn to the screen that the band had hoisted above them onto which alternating pictures and a whiskey flask (which looked more like a cow bell) indicating NO ALCOHOL, a heep of Brussell sprouts which i was unsure of it’s meaning. It was either NO FOOD or NO F…..G! and thirdly a picure of a mobile phone indicating that there was to be NO PHOTOGRAPHY. The use of humour to get the message across worked a treat because all three requests were very well observed by the respectful crowd. As the band took to the stage Andy Poole and Danny Manners manned their stations to a rapturous applause and as the rest of the band took to the stage this soon turned into a full standing ovation the likes of which is rarely seen. David Longdon set out his stall from the very beginning and bonded with the crowd from the outset. As the band launched themselves headlong into Make Some Noise it was notable that first night nerves were taking their toll and a few bum notes were hit though instantly forgiven my an adulating crowd. 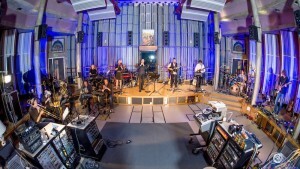 The band spent a week rehearsing at Real World Studios for these three rather special events and although there were minor mistakes the complexity of the arrangements and the fact that so many musicians were involved in their delivery it did not distract from the glorious wall of sound enriched with excitement, verve and enthusiasm. As the band moved onto The First Rebreather the first of the images were projected onto the large screen depicting, yes, you guessed it trains. Lighting and visual Engineer Zab Reichhuber did a great job with the images and the few lights she had at her disposal. Listening to the band playing the passion and strength of the music itself stood up on it’s own and didn’t need a multitude of Vari-lights, Lasers and their like and may have even suffered for it. 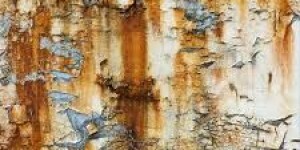 New to me was the title track from The Underfall Yard which had me enthralled. 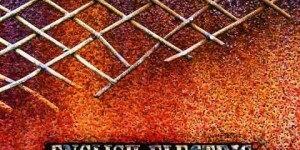 So many elements and time changes it was a total joy to listen to. David Longdon donned a trench coat, hat and a Gladstone bag at one point adding a touch of theatre to the proceedings. Sitting at the rear of the hall beneath a balcony i had a fairly limited view and the nerd like cynic in me wondered where the brass sounds were coming from. It wasn’t until David Longdon pointed out that there were additional musicians IE a brass section up on the balcony above them to the side. Following such an opus David picked up his trusty banjo and with a little more banter with the audience began to play Uncle Jack in tribute to his uncle. Completing the first half of the evening before taking a twenty minute break was Victorian Brickwork. This was the first of a few songs of the evening to make the hair stand up on the back of my neck. This was an event in itself and the band really were singing from the same hymn sheet. David’s harmonies with drummer Nick DeVigilio and Beardfish front man Rikard Sjoblom were sumptous as was the playing and overall soundstage. Quite stunning and a fine way to take the show into an intermission. Returning to the hall after the break it was plain to see that after a backstage huddle the band seemed regrouped and a little more confident. David Longdon seemed less awkward and much more at ease. This became more evident as the night went on. Gone was the tension of their first night nerves and the band relaxed into their playing. As David described the premise of the next song as being about barriers between people he introduced yet another song i had never heard Kingmaker which again was beautifully augmented by Zab Reichhuber’s sophisticated imagery. What was needed at this point was an anthem and that came in the form of Wassail. A semi chant about a West country ritual dating back to medieval time, Wassail is a rousing audience participating stomp and not for the first time in the evening found myself clapping along and even singing. How very un-Prog like. David added to the pagan feel of this piece by wearing a mask similar to the EP cover from which the song is taken. Some may have found this a little over the top, i for one didn’t. Instead it added a little light hearted fun before playing one of my favourite pieces from the English Electric albums Summoned By Bells. The delicate nature of this song was captured perfectly by all involved and had the audience mesmerized. Dave Gregory’s intense concentration was so reminiscent of Steve Hackett during his very early days with Genesis albeit Dave manages to stand up to perform. The percussive barrage that was a short drum solo from Nick DeVigilio melded into the erratic and full on Judas Unrepentant which found Danny Manners and Rikard Sjoblom attacking their keys with vigour at the high octane piece about historical misdemeanors in the art world. Dave Gregory too going into fifth gear and letting fly. One of the highlights methinks. What i did find touching was a tribute made to Andy Tillison who played keys on the original album verion of the song as Andy could not attend due to health reasons. This found the band playing without doubt the most beautiful song of the evening Curator Of Butterflies. I have to admit to feeling very emotional during this piece so beautifully sung by David Longdon and Dave Gregory’s soulful guitar playing. The feelings invoked by this song and it’s delivery wasn’t something i felt in isolation, numerous other attendees confirmed the same in the bar after the gig. As the last song of the set was introduced it was tinged with sadness as well as excitement. East Coast Racer was the perfect choice. As the images of fast steam trains filled the senses the driving nature of the music and vocal harmonies carried the crowd to a rousing conclusion highlighting just how valuable each member of the bands contribution to the overall sound is. Greg Spawton’s solid bass and seismic bass pedal playing added depth and breadth which married to Nick deVigilio’s drumming amounted to a tsunami at times. After the usual sore inducing clapping the band played a folky Hedgerow allowing the very talented Rachel Hall to really do her thing on violin. Rachel’s contribution to the show cannot be understated and shone throughout. For a band who haven’t played live as such especially on this scale they were nothing shy of awesome and i don’t use such an overused word very often. What struck me afterwards in the bar was the affection of the people who attended. The word fan doesn’t seem to do them justice they were more like a mature family and i was made to feel part of it. As the band mingled with those frequenting the bar they were greeted with congratulations and fond appreciation. Speaking to founder member Andy Poole afterwards i informed him “something very special has just happened in there”. I was not exaggerating. i felt humbled by the whole event. 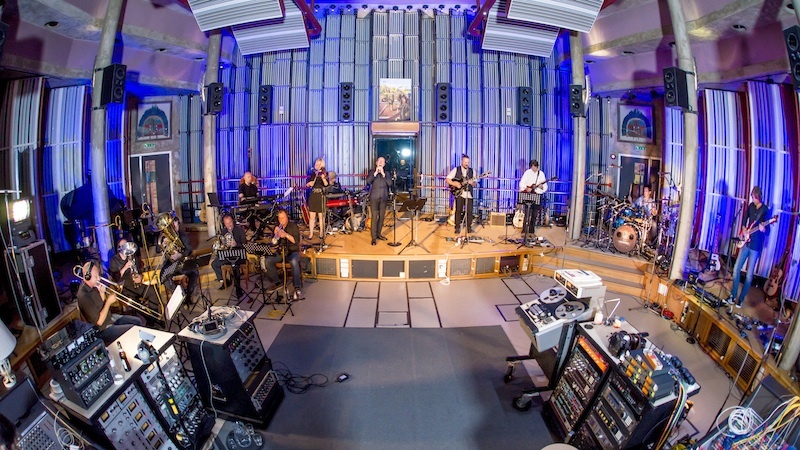 The multi talented musicians on the stage to the fantastic brass section which really did fill out the sound hugely to the man at the helm, sound engineer Rob Aubrey. I count myself lucky to have been there on the night that Big Big Train brought to life the music that many people have enjoyed two dimensionally for many years. 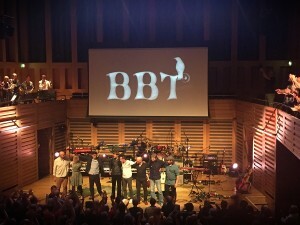 I have no doubt in my mind that the bands following two gigs won’t be hampered by the same glitches and first night nerves as that Friday evening in August when Big Big Train brought their music to life and put faces and gesture to photographs on album covers and made real stories that their music tells. Once more for the record, awesome.